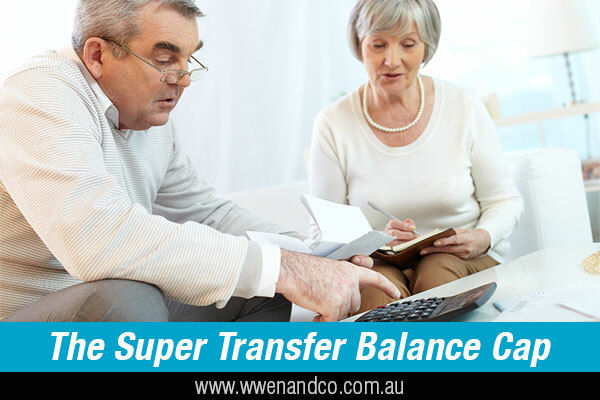 Starting 1 July 2017, there is a limit on how much of your super you can transfer from your accumulation super account to a tax-free “retirement phase” account to receive an account-based pension income. This is known as the super “transfer balance cap”. If you have more than one superannuation account, the cap applies to the combined amount in all of your pension phase accounts. You will be able to make multiple transfers into the retirement phase as long as you have available cap space. The amount of the cap will start at $1.6 million, and will be indexed periodically in $100,000 increments in line with the consumer price index (CPI). The cap relates to the amount you transfer into your retirement phase account. There is no limit to the amount of money you can have in your accumulation super account(s). If your pension account grows over time to more than $1.6 million, you won’t exceed your cap. If your pension account goes down over time, you can’t “top it up” if you have already used your cap. If you are currently in excess of your transfer balance cap, then you may have to remove the excess from retirement phase and pay tax on the earnings in excess of the cap. Different tax rules will apply if you receive a capped defined benefit income stream because you can’t usually transfer or remove excess amounts from these pensions. These pensions are commonly provided by defined benefit funds, but may be provided by other funds, including some self-managed super funds (SMSFs). Currently, an individual can claim a tax offset up to a maximum of $540 for contributions they make to their spouse’s eligible super fund if, among other things, the total of the spouse’s assessable income, total reportable fringe benefits and reportable employer super contributions is under $13,800. From 1 July 2017, the spouse’s income threshold will increase to $40,000. The current 18% tax offset of up to $540 will remain and will be available for any individual, whether married or de facto, contributing to a recipient spouse whose income is up to $40,000. As is currently the case, the offset gradually reduces for incomes above $37,000 and completely phases out at incomes above $40,000. The purpose of this change is to extend the current spouse tax offset to more couples to allow them to support each other in saving for retirement. The government expects this move will better target super tax concessions to low-income earners and people with interrupted work patterns.